He received many awards for his work, including five Academy Awards; two for Born Free, and one each for The Lion in Winter (for which he also won the first BAFTA Award for Best Film Music), Dances with Wolves and Out of Africa (both of which also won him Grammy Awards). He also received ten Golden Globe Award nominations, winning once for Best Original Score for Out of Africa in 1986. 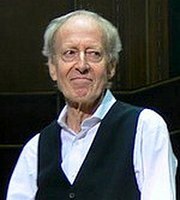 Barry completed his last film score, Enigma, in 2001 and recorded the successful album Eternal Echoes the same year. He then concentrated chiefly on live performances and co-wrote the music to the musical Brighton Rock in 2004 alongside Don Black. In 2001, Barry became a Fellow of the British Academy of Songwriters, Composers and Authors, and, in 2005, he was made a Fellow of the British Academy of Film and Television Arts. Barry was married four times and had four children. He moved to the United States in 1975 and lived there for the remained of his life until his death in 2011.